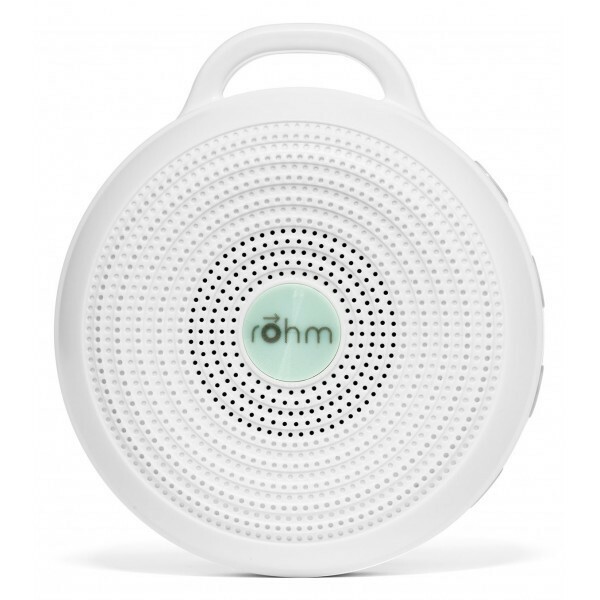 Night or day, wherever you may be, Rohm lets you take control of your sound environment – so you can live (or sleep) your very best life, uninterrupted. 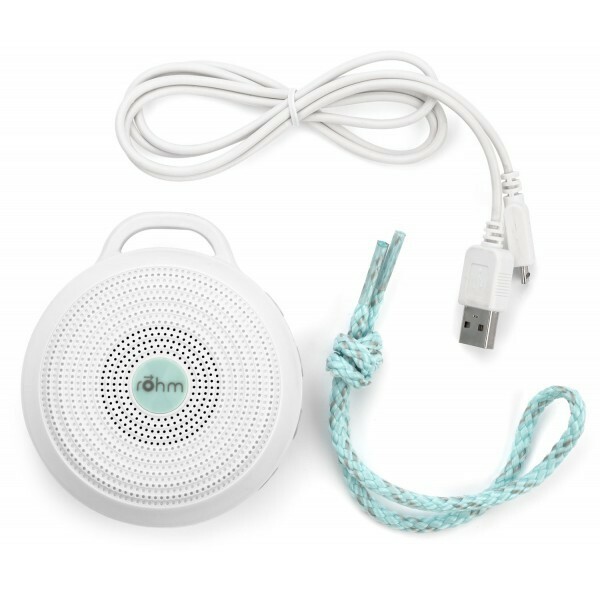 Marpac, the White Noise pioneers and makers of the beloved Dohm-DS All-Natural White Noise Sound Machine, have now created a portable electronic sound machine suitable for travel or on-the-go use. 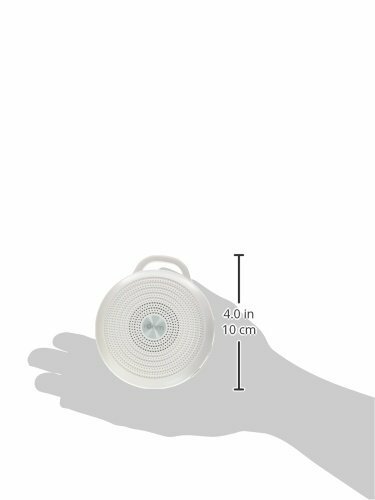 This compact portable unit is designed to mask noises anywhere, at any time. 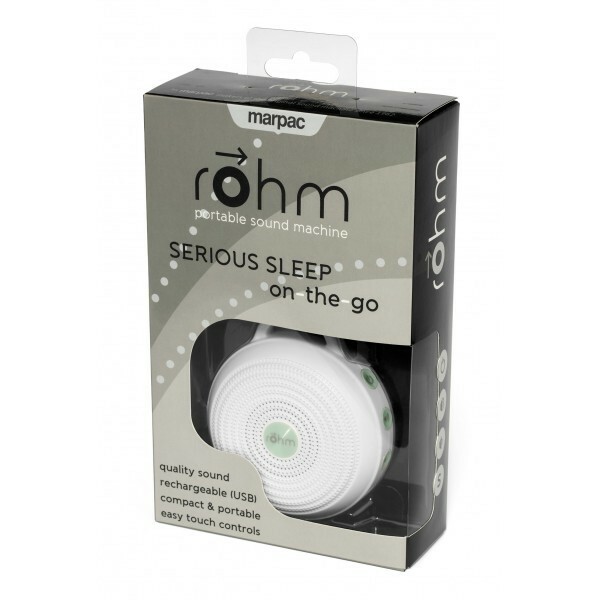 Rohm creates a soothing, consistent sound environment for sleep, privacy, or concentration. 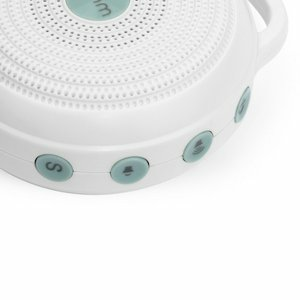 Simple – Easy to use buttons control sound selection, sound volume and power ON/OFF. 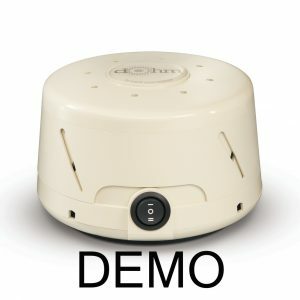 An unobtrusive blanket of sound fades into the background and then masks noises that might otherwise wake or disturb you – even in noisy hotel rooms. Having a consistent sound to fall asleep to is especially helpful in unfamiliar places. 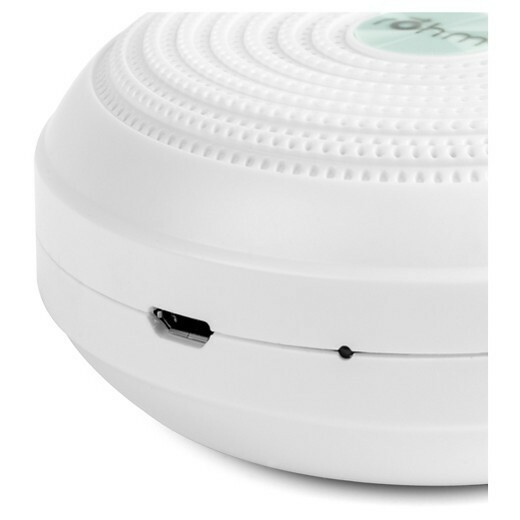 Rohm is small but mighty. 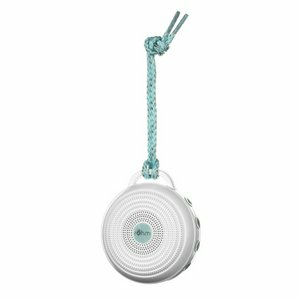 Choose from bright white noise, deep white noise, or gentle surf, then set your volume – anywhere from whisper-quiet to impressively robust. 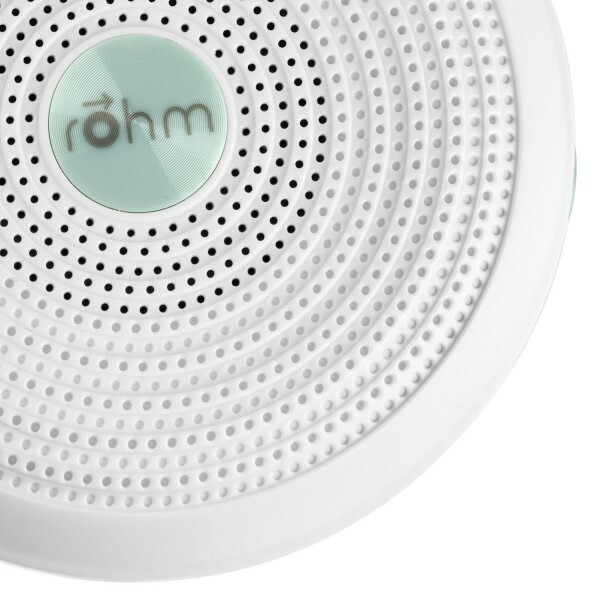 Night or day, wherever you may be, Rohm lets you take control of your sound environment – so you can live (or sleep) your very best life, uninterrupted. 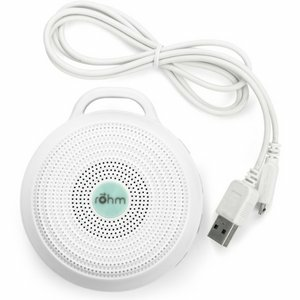 Take Soothing Sound Anywhere – The Rohm is compact and lightweight so it easily fits in your hand bag, briefcase, carry-on bag or backpack. 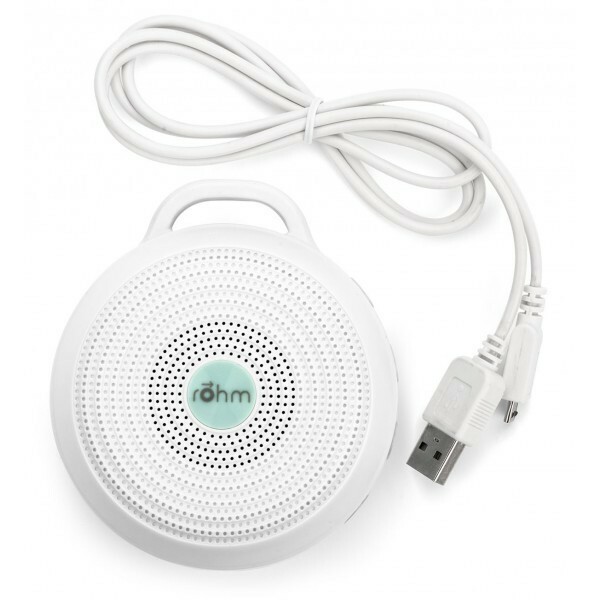 Forget batteries and electrical outlets – Rohm can operate all night long on a single charge, and comes with convenient USB cable for recharging. 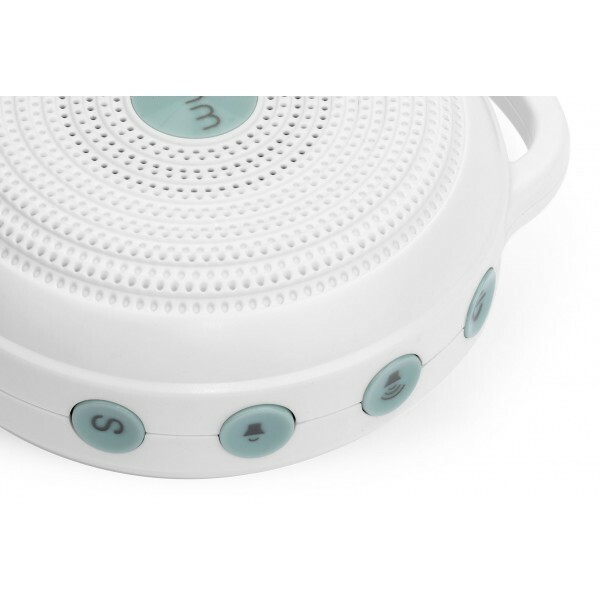 Choose from bright white noise, deep white noise, or gentle surf, then set your volume – anywhere from whisper-quiet to impressively robust. I travel a lot and spend a lot of time away from home in different hotels. I spend many a night tossing and turning without much sleep because of different noises that keep me awake or wake me during the night. A colleague recommended this unit and I thought I’d give it a try – I am so glad that I did. I am now able to get a peaceful night sleep wherever I am. 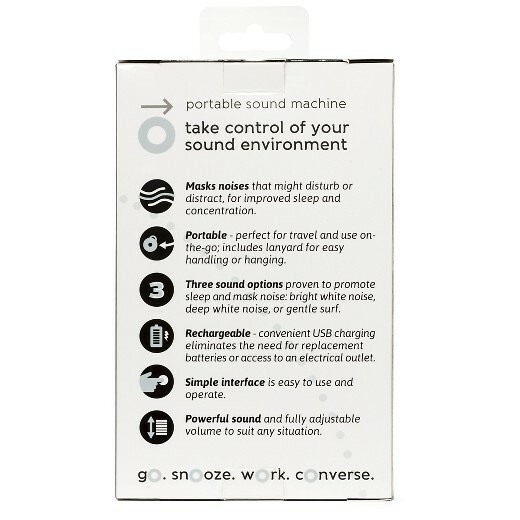 PS When checking in, I can offer these tips to help keep noise down.